Xayabuli (Lao ໄຊຍະບູລີ; French: Xaignabouli; alternate spellings: Xaignabouri, Xayaboury, Sayabouli, Sayabouri) is a province of Laos, located in the northwest of the country. Xayabuli Province covers an area of 16,389 square kilometres (6,328 sq mi). The province borders Bokeo Province and Oudomxai Province to the north, Luang Prabang Province and Vientiane Province to the east, and (from the south clockwise) the Thai provinces Loei, Phitsanulok, Uttaradit, Nan and Phayao. Xayabuli is the only Laotian province that is completely to the west of the Mekong River. (Champasak province also has several districts located west of the Mekong river including Mounlapamok, Soukama and Phontong districts.) The province is quite mountainous with the Luang Prabang Range running roughly in a north-south direction and forming a natural border with the Thai highlands. Sainyabuli town is the capital of the province. Xayabuli has the largest concentration of elephants in Laos. The province is rich in timber and lignite, and is considered the rice basket of northern Laos, since most other northern provinces are too mountainous to grow enough rice. Other important crops include maize, oranges, cotton, peanuts, sesame, sugarcane and vegetables such as cucumbers, cabbage, and beans. The name is derived from the Sanskrit words Sena (Army) and Puri (City). In 1904, Siam was forced to cede the area of the province to the French Indochina colony. In 1941, it was annexed by Thailand under the name Lan Chang Province, but was returned its pre-war colonial status in 1946. The area is allegedly a heartland for the Laotian military's involvement in the illegal timber trade. Since the Mekong isolated Sainuyabuli from other Laotian provinces with Hmong villages, the warfare during the Quiet War that affected other Hmong villages largely did not affect Sainyabuli. Most Hmong villages in Sainyabuli did not see any fighting. Houaysouy was a Hmong village in Sainyabuli. It had no fighting during the Quiet War, and Vang Pao did not recruit any of its men. After the war, Anne Fadiman, author of The Spirit Catches You and You Fall Down, said that the village was "tossed into the political melee along with the rest of the country." The occupying Vietnamese soldiers regarded the residents of the village as traitors and for this reason the Vietnamese soldiers persecuted them. In 1979 around 400 members of the Lee, Vang, Xiong, and Yang clans attempted to escape from the village. The family of Lia Lee, the subject of The Spirit Catches You and You Fall Down, originated from Houaysouy. Sainyabuli Province, one of the provinces of Laos, is in the shape of an upside-down-L. It covers an area of 16,389 square kilometres (6,328 sq mi). The province is located in the northwest of the country, and covers all the area west of the Mekong river. The province borders Bokeo Province and Oudomxai Provinceto the north, Luang Prabang Province and Vientiane Province to the east, and (from the south clockwise) the Thai provinces Loei, Phitsanulok, Uttaradit, Nan and Phayao. The province is quite mountainous with the Luang Prabang Range running roughly in a north-south direction and forming a natural border with the Thai highlands. The flattest and most tropical Laotian area is the floodplain which stretches between the provinces of Sainyabuli and Champasak. There are many mountain peaks with more than 1.000 meters elevation. Other features include the Pak Kimin ridge near the Nam Heung stream. The Sainyabuli province is home to Laos’ majority of domesticated Asian elephants. Approximately 75% of the nation's 560 domesticated elephants work in Sainyabuli. Their main work duties are within the logging industry, which causes a loss in both wild and domestic elephant habitat. The area is little patrolled, which makes the enforcement of conservation measures difficult. The Sainyabuli province is also home to the annual Elephant Festival, organised in Hongsa by the Lao National Tourism Authority in partnership with Elefantasia, provincial and district authorities. Asian elephants are the flagship species at Nam Phouy National Biodiversity Conservation Area. The Nam Phouy National Biodiversity Conservation Area, a protected area in Laos home to many wild elephants, is located in the forested mountains close to the Thai border.The NBCA is located in the forested mountains of the Luang Prabang Range close to the border with Thailand and is part of the Luang Prabang montane rain forests ecoregion. The reservoir area of lower Nam Phoun dam is partly within the Nam Phouy NBCA. The elephant monitoring in the Nam Phouy NBCA needs to be improved. In view of the concentration of the largest number of Asian elephants in the province, in entire Laos, the Lao Elephant Conservation Center has been established in Hongsa District. The Nam Phouy NBCA, situated entirely in the province, is named after Nam Phouy village (or"Nam Phoun"). It is spread over an area of 1,912 square kilometres (738 sq mi). Hill ranges reach a maximum elevation of 1,790 metres (5,870 ft), and are part of the Luang Prabang montane rain forests on the Thai border. Geological formations include Mesozoic sandstones and shales. The habitat is characterized by mixed deciduous forest with an abundance of bamboo resulting from regular forest burning. Afzelia forms at the upper canopy with teak at lower elevations. Apart from wild elephants (about 350), gibbon, gaur, tiger, dhole, serow, silvered langur, Asiatic black bear, and Sumatran rhino are the wild life species reported from the protected area. The protected area was identified by the Government of Laos in the National Elephant Conservation Meeting held in 2008 and WWF has been in the forefront in this effort since 2005. The area is not patrolled much, which makes the enforcement of conservation measures difficult. Elephant monitoring needs to be improved. The 10,980 hectare Upper Lao Mekong Important Bird Area (IBA) stretches across the provinces of Sainyabuli, Bokeo, and Oudomxai. It is situated at an altitude of 300–400 metres (980–1,310 ft) above sea level. The topography is characterized by river channel, exposed beds, sandbars, gravel bars, islands, rock outcrops, bushland, and braided streams. Notable avifauna include black-bellied tern (Sterna acuticauda), great cormorant (Phalacrocorax carbo), grey-headed lapwing (Vanellus cinereus), Jerdon's bushchat (Saxicola jerdoni), brown-throated martin (Riparia paludicola), river lapwing (Vanellus duvaucelii), small pratincole (Glareola lactea), and swan goose (Anser cygnoides). The 18,230 hectare Mekong Channel upstream of Vientiane Important Bird Area (IBA) comprises an approximately 300 kilometres (190 mi) section of the Mekong Channel upstream of Vientiane city. It is situated in two provinces: Sainyabuli and Vientiane. Topographical characteristics are braided streams, bushland, gravel bars, open sandy islands, rock outcrops, and sand bars. Recorded avifauna include wire-tailed swallow (Hirundo smithii), small pratincole (Glareola lactea), river lapwing (Vanellus duvaucelii), Jerdon's bush chat (Saxicola jerdoni), and the great thick-knee (Esacus recurvirostris). The Northern Lao dialect dominates the province. Residents of Hongsa (population 6,000) are predominantly Tai Lue. Other ethnic groups are the Khmu, Tai Dam, Htin, Phai, Kri, and Akha; the Malabri are the last hunter-gatherer group in Southeast Asia who reside in the forests of western region of the province. Sainyabuli Province is devoid of vehicle roads except for one north-south route extending from the provincial capital to the Thai border opposite Thailand's Loei Province. The province is rich in timber and lignite, and is considered the rice basket of northern Laos, since most other northern provinces are too mountainous to grow enough rice. Other important crops include maize, oranges, cotton, peanuts, sesame, sugarcane and vegetables such as cucumbers, cabbage, and beans. There are several notable monasteries. Wat Simungkhun in Hongsa features an initiation pavilion and a raised stone platform over a hole "'leading to the end of the world". A lopsided gilded stupa, reclining Buddha, garden, and brick ruins of a c. 14th century sim are situated by Wat Sibounheuang. Other landmarks in various districts of the province are: The Tam Hine Cave, Wat Natonoy Temple, Ban Yao Village and Tad Chao Waterfall in Xayabury District; Tad Namyal Waterfall, Tham Phaway Cave, Phangoy, Phakeo and Pha Heua Caves in Phiang District; Tad Namphong Waterfall, Wat Siphoun Temple and Tham Seng Yeun Cave in Kenethao District; Tad Ham, Tad Malou and Tad Fanh Waterfall and Ban Leu Village in Betene District; Tad Itan Waterfall and Ban Tha Xuang Village in Hongsa District; and Wat Xieng Ngeun Temple, That Mat Stupa and Khone, a weaving village Ngeun District. Some of the unique features of these landmarks are the Tai Lue villages where traditional houses are still built with high-sloping roofs, the Tai Lue style temples of Vat Ban Khon which depict rare natural fiber murals and decorations, Vat Si Phan Don known for its diamond-shaped stupa, and French colonial buildings, traditional Lao-style wooden houses can be seen in the Pak Lay town on the banks of the Mekong River, which lies between Vientiane and Sayaboury town. ^ a b Bush, Elliot & Ray 2010, p. 183. ^ Walker 1999, p. 179. ^ a b Fadiman 1997, p. 155. ^ Fadiman 1997, p. 156. ^ Fadiman 1997, p. 103. ^ "Home". Regions. Official website of Laos Tourism. Retrieved 7 January 2013. ^ Lonely Planet 2008, p. 220. ^ a b c "Xayabury Province". Lao Tourism Organization. Retrieved 3 December 2012. ^ "Laos, Le " Pays du million d'éléphants "" (PDF) (in French). Clio.fr. Retrieved 4 December 2012. ^ Kislenko 2009, p. 2. ^ a b c d e f "Sayabouly Overview". Official website of Laos Tourism Organization. Retrieved 6 December 2012. ^ "Elefantasia 2008, Who we are". 22 April 2008. Archived from the original on 6 November 2012. Retrieved 4 December 2012. ^ Norachack, Bounleuam (2002). "The care and management of domesticated Asian elephants in Lao PDR". In Baker I; Kashio, M (eds.). Giants On Our Hands: Proceedings of the International Workshop on the domesticated Asian elephant. Bangkok: FAO Regional Office for Asia and the Pacific. pp. 172–180. ^ "Base Map:Lao People's Democratic Republic (LPDR)". UNOSAT. Retrieved 4 December 2012. ^ "Asian Elephant: Improving Patrolling & Enforcement Conservation of flagship species at Nam Pouy National Protected Area" (pdf). WWF Panda.Org. Retrieved 8 December 2012. ^ "Improving Elephant Patrols in Lao PDR". WWF.Panda.org. 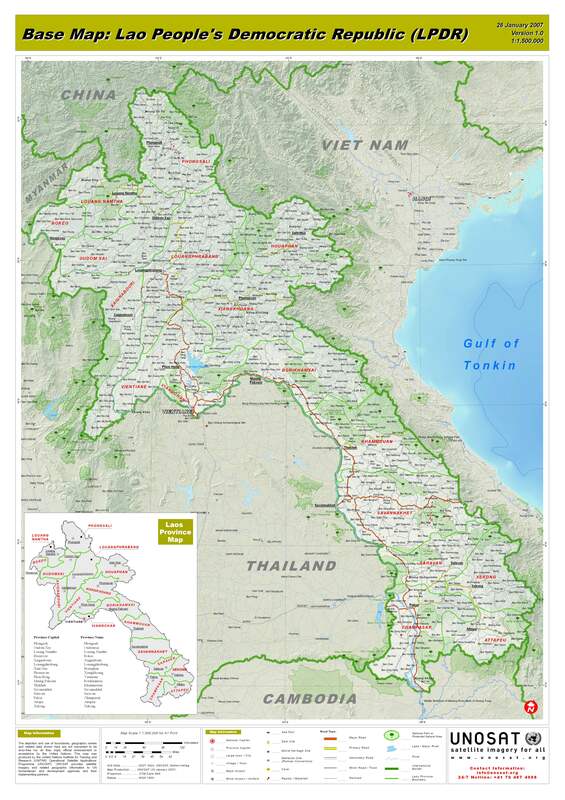 ^ "Important Bird Areas factsheet: Upper Lao Mekong". BirdLife International. 2012. Retrieved 7 December 2012. ^ "Important Bird Areas factsheet: Mekong Channel upstream of Vientiane". BirdLife International. 2012. Retrieved 9 December 2012. ^ Kislenko 2009, p. 12. ^ Hall 2008, p. 161. ^ Lao People’s Democratic Republic: Second Poverty Reduction Strategy Paper (EPub). International Monetary Fund. 21 October 2008. p. 54. ISBN 978-1-4527-9182-1. Retrieved 6 December 2012. ^ Bush, Elliot & Ray 2010, p. 181. ^ Bush, Elliot & Ray 2010, p. 184. Bush, Austin; Elliot, Mark; Ray, Nick (1 December 2010). Laos 7. Lonely Planet. pp. 181–. ISBN 978-1-74179-153-2. Fadiman, Anne (1977). The Spirit Catches You and You Fall Down: A Hmong Child, Her American Doctors, and the Collision of Two Cultures. Farrar, Straus and Giroux. pp. 103, 155, 156. ISBN 978-0-374-52564-4. Hall, Rebecca Sue (2008). Of Merit and Ancestors: Buddhist Banners of Northern Thailand and Laos. ProQuest. pp. 161–. ISBN 978-1-109-05760-7. Kislenko, Arne (2009). Culture And Customs Of Laos. ABC-CLIO. pp. 12–. ISBN 978-0-313-33977-6. Lonely Planet (2007). Laos: A Travel Survival Kit. Lonely Planet Publications. p. 220. Walker, Andrew (1999). The legend of the golden boat: regulation, trade and traders in the borderlands of Laos, Thailand, China, and Burma. University of Hawaii Press. p. 179. ISBN 978-0-8248-2256-9. Wikimedia Commons has media related to Sainyabuli Province. This page was last edited on 10 February 2019, at 10:55 (UTC).